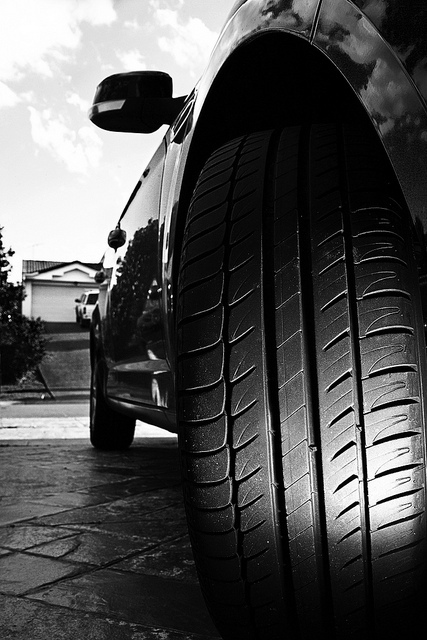 7 Problems With Car Tyres that Mums Can Solve - Mummy's Gone Mad! | Mummy's Gone Mad! All mums, no matter how busy we happen to be, can do some car maintenance without having to rely on an expert. This is especially the case with tyres which don’t need a great deal of experience to be looked after. Checking for tears and cracks at the side of a tyre’s rubber compound can be done easily enough without a great deal of effort. When parked, all that is needed is to visually inspect the tyres for cracks or so-called crazing, which looks a bit like crazy paving. If seen, the structural integrity of the tyre is compromised and it needs to be replaced. According to one of the leading tyre brands, Continental, tyre pressure should be confirmed about once every two weeks, depending on how far you drive on average. Short school run trips, for example, mean less frequent checks. However, it should be done regularly and remember always to replace the valve cap. Use a tread depth gauge to make sure that your car’s tyres are street legal. In wet weather, tread that is beneath 3.0mm in depth can mean you are able to stop less quickly and more likely to lose control. Although legal at this depth, it is time to consider purchasing new tyres if yours have fallen below that threshold. Not running new tyres is another common problem many motorists fail to consider. According to the nationwide tyre dealer network Point S, new tyres should only be driven at moderate speeds in dry weather for the first 150 to 200 miles. Only after this should you move on to higher motorway speeds. Mums can book tyres online through Point-S, which allows mums to explore through the complete range of tyres by all brands, their specifications and prices, which makes buying tyres a lot easier. Consider your spare tyre before it becomes a problem. Car makers are not obliged to supply a car with a fully-sized spare wheel. This is fine if you need to change for a temporary spare – which has a limited range – when you are in a built up area. However, if you live in a rural region, then it is a good idea to buy a proper spare which will be able to get you out of trouble without having to rely on breakdown assistance. Avoid excessive wear on your car’s tyres by adjusting your driving style in the first place. Particularly with kids in the back, leave plenty of braking room in front of you and try to pull away at a more gentle speed. Both measures will preserve the life of your tyres. Finally, avoid routes which mean you need to bump over kerbs or speed humps. These can knock the wheels out of alignment which causes more wear to occur on tyres.